Lavender's lovely scent makes it a sought after perennial flower that, in its dry state, can be used in many ways. This is a guide about uses for dried lavender. 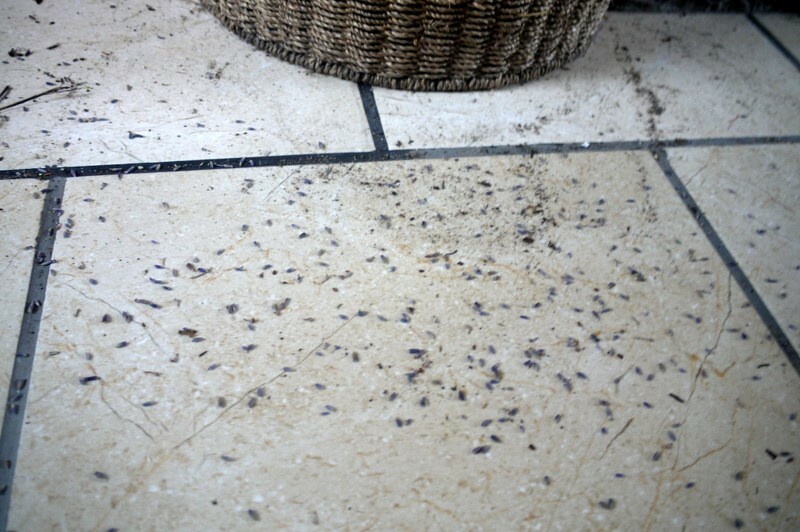 Sprinkle just a small handful over your hard floors or carpets before cleaning. As you sweep or vacuum, the gorgeous scent will be released into the air. 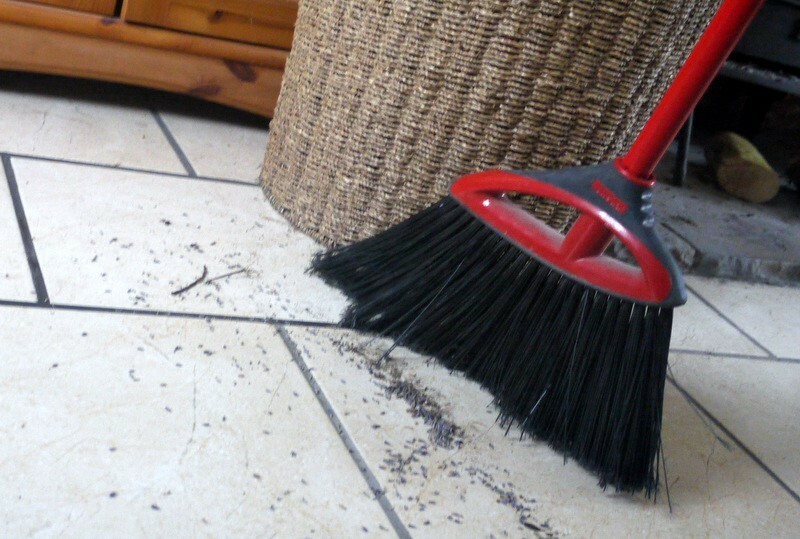 It will also help to keep your vacuum cleaner smelling sweet, and your bin too when you throw out the lavender with the dust. My daughter is crafty and she was able to buy a huge amount of high quality - semi dried lavender, on eBay for less than $100.00 total. She made table decorations with the lavender by binding a large bunch together with wire and then ribbons. They sat on the tables. Because they were dryish, they were able to stand up without vases. They looked good and smelled wonderful. The fresh flowers also included the dried lavender. She also purchased wooden candle lanterns for the tables on eBay. She also decorated these with lavender. People took them home as mementos. All this lavender "stuff" is still being used and it still smells wonderful. She added a small sprig of the lavender to the invitations. 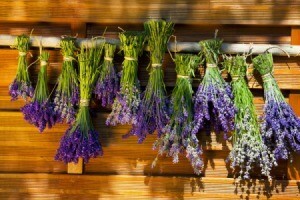 For "green" weddings, I thought lavender plants would be nice, or lavender seeds. Now is the time to harvest some of the stems on your lavender plant to dry out. Put it in a small satchel bag and add to sock drawers, pillow cases, make eye pillows or place a satchel in the dryer and for go dryer sheets one bag can be used over and over again. Saves money and smells really good, and the scent on cloths lasts longer than dryer sheets ever do. Here are some tips from the ThriftyFun community. Post your own ideas here. 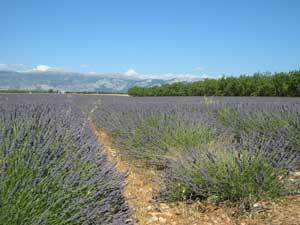 Lavender's a great insect repellent. Put bunches of it in your window sills and hang bunches of it near your doors to keep insects out. Put some under your doormat, too. Also works in your car. Put some under the seats and in the trunk. You can probably make a decent amount of money selling it, you may want to spend a few hours doing some online research, but I believe your work will pay off for you. I wish I could remember the name/site of the family that made a lot of money selling lavender, their story is quite interesting. Lavender oil is wonderful! Take a small bunch you have tied together with thread and lightly crushed: place in a tall bottle. Lightly warm (not boil) almond, light olive, or even sunflower oil. Pour into the bottle. Cap loosely. Let it sit for 7-10 days or more, depending how strong scent you want. Remove lavender bundle and discard. Strain the oil through cheesecloth and discard the cloth and bits. Cap tightly. If desired, break open a few vitamin E capsules and squeeze them into the oil. This will act as a perservative. Use the oil to cleanse, moisturize, or massage. You could make a lavender doily to freshen drawers too. Take a big handful of long stems with flowers and tie tightly under the flower part. Now bend the stems up and over the flowers to form a cage and tie together tightly with cotton, then cover the cotton with a pretty ribbon, leaving the very ends free. You can add a hanging loop for cars/wardrobes, or leave it as it is and pop in drawers. Saves all that sewing if you want to have sachets. Queen Victoria used to say she couldn't function without her daily cup of lavender tea, and I used to have a recipe for lavender and rose petal jelly that came from that era. Track down Orgazmo ready-made bags, and place the dried flowers inside. Give them away as Christmas presents, especially to someone who has insommnia or a baby. Lavender is a relaxing and soothing herb, and the scent will help them to sleep. You can make sachets with lavender, make potpourri or add it to homemade soap, or just plain tie a piece of string around 10 or so stems and set them under the seat of your car (I did this and it continued to smell great for over a month in the late summer!). Irish Brides used to braid fresh lavender into their hair. You can add fresh lavender flowers (still on the stem) to clear bottles of lavender cologne, or it can be added to the inside of oil burning lamps. The prettiest way to use lavender is to weave lavender wall decorations, called "Lavender Wands". These are great for the home, car or office and smell nice for months. After that, they continue to look pretty. 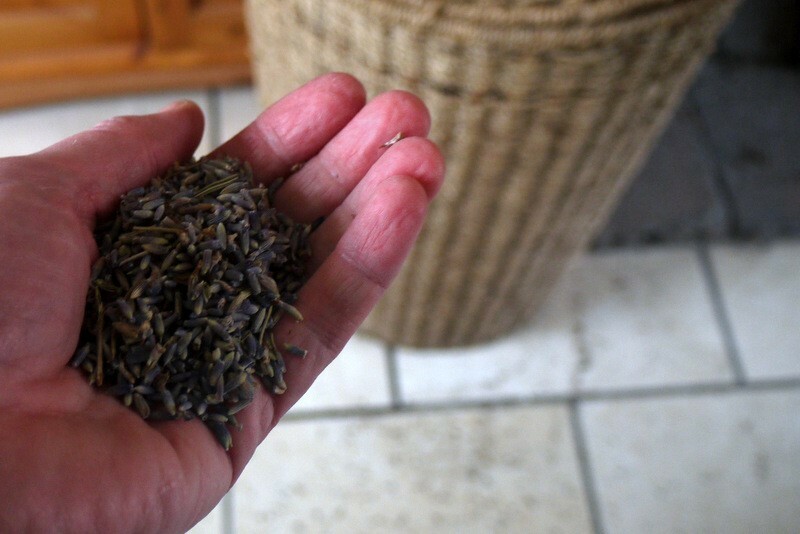 Lavender makes great tea and can be used plain or added to green tea. Plus it's great in many other recipes including salad dressings. Lavender can also be woven into baskets, used in "eye-pillows" and added to heated neck roll pillows and heated, grain-stuffed fabric trivets. A super-simple use of lavender is to take a piece of netting or fabric and fill it with dried lavender, then tie the end with string, yarn, or a rubber band. These little lavender filled pouches can be tucked down between your pillow case and your pillow for a yummy night dreaming of lavender fields. Or you can tie the string to the top of your hangers to help ward off moths, Or, simply tuck them into the back of your drawers for great smelling lingerie! The scent from lavender is strongest when it's near a source of heat, say for example, from the sun shining in your car windows or near a heat register, a lamp or on top of your TV. But use care, never put dried lavender near a burning candle or a hot light bulb, but instead hang your sprig of lavender in a sunny south facing window! This Christmas (birthdays and weddings too), make your friends smile with an awesome new way of wrapping packages. Just tie or hot glue several lavender sprigs under your package bows. These will smell great under their Christmas tree! And just for fun, make birthdays & weddings special by adding sprigs of dried lavender to the inside of the gift, tucked into the folds of the tissue paper. Or you can sprinkle tiny bits of lavender buds into the inside of your greeting cards like great smelling confetti. Have fun! Make lavender sugar! Shake and pry off the dried flowers and put them into a small container with any desired amount of plain, white sugar (do a layer of lavender, then a layer of sugar, etc.). Shake it, shake it, shake it up! Leave lavender and sugar to set for two weeks. Great for tea, and lavender sugar cookies!